The winners of the 2015 European Supply Chain Excellence Awards were revealed last night at a glittering ceremony in London. Waterstones, with its logistics partner UTL, took the overall award after transforming its supply chain to strengthen its competitiveness in a book market that has changed dramatically with the growth not only of online retailing but the advent of e-books. 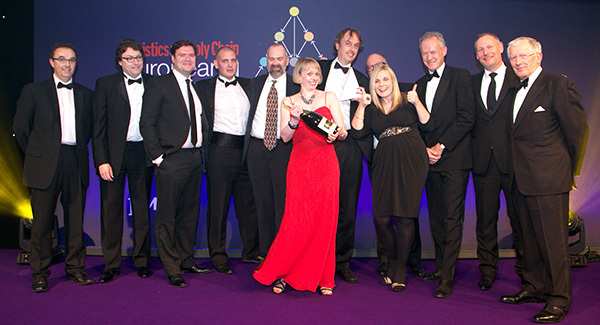 Waterstones and UTL also took the Award in the Retail Supply Chain category. The Individual Contribution Award went to Birgitte Stalder-Olsen, head of logistics at the International Federation of Red Cross and Red Crescent Societies, who has played a key role in ensuring that humanitarian aid gets to where it is needed in some of the most difficult and remote locations in the world. Waterstones with UTL, overall winner in the 2015 European Supply Chain Excellence Awards.